Summer 2017 is upon us. We’re excited on all fronts about our upcoming boys and girls summer program, and one of the biggest leaps we’re making is in the expansion of our Girls Fire Travel program! A year ago we launched Fire as an outlet for high school players to compete at a regional level, get invaluable tournament experience, and to start opening doors in the high school recruiting process. We were quite successful in this endeavor and Fire HS is on a steady and accelerated path. We are now ready to bring the complete Fire experience to our younger girls as well. This makes us the first organization in LA to offer a complete girls travel program. While our high school team follows the traditional summer schedule of an established program, our younger ages are on a new annual cycle with "A la carte" touranment options that offer a great balance between high level play, fun travel destinations, cost and time commitments. Fire teams are presently organized by both grade and high school graduating year. As the program grows, we will increasingly switch to high school graduating year only. Scroll down to see details regarding your team. Fire High School - 2020 to 2017: This team is open to all current high school players. Our Fire High School team will be celebrating their one year anniversary this summer. Our core group is resilient and shares a very strong team bond. We are looking to add players with the same type of attitude, who are eager to grow and learn. If you are willing to do what it takes to get yourself and this program to the top level, then Fire is for you! The Coaches for this team are Meghan Toomey and Maddy Morrissey. Click HERE to see their bios. Practices are twice a week starting in late May and will take place at Santa Monica HS and/or Marlborough HS. Fire 2020/21 - 8th & 9th Graders: After being active in the Los Angeles area for two and half years, our coaching staff is ready to cast a wider net by reaching out to girls who we feel are ready to go to the next level. This team is the perfect launchpad for a successful high school career. The Fire Middle School team has "A la carte" tournament options to offer more flexibility for your busy child. The tournaments we are offering are spread across the summer, fall, and winter travel lacrosse seasons. This is an invite only team. It also allows us to offer a top-level program with concentrations during the year, but to also leave plenty of time for the many other activities our busy girls are involved in. 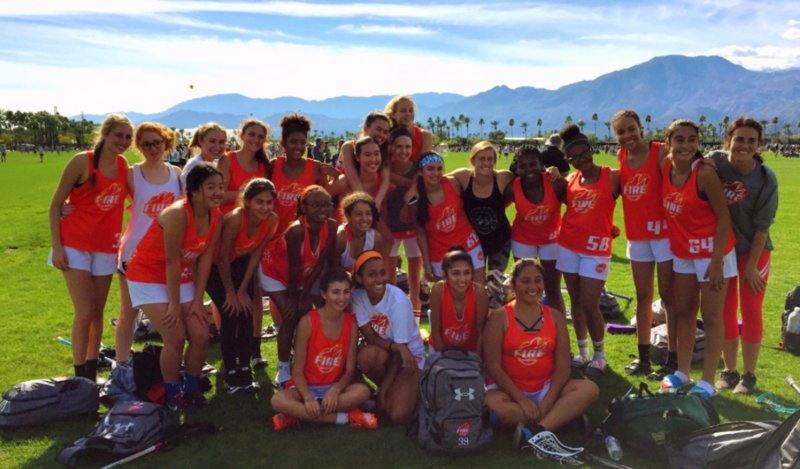 Fire 2020/21 will play one tournament every season until Winter 2018 and have 6 practices before each tournament. In the summer of 2018 this program will reset and we’ll offer an additional tournament or two in the summer, as well as the winter. By its third year we expect this team to be on the same cycle as Fire High School. Please keep in mind that Fire is a complement to, and not a replacement for the regular winter and spring seasons, which is when we provide the bulk of our training. Fire events do not conflict with Dragons practices. Head coach for middle school is Meghan Toomey. Click HERE to see her bio. Fire 2024/2025 - 4th & 5th Graders: This team is for players with high school graduation years of 2024 and 2025, which is presently equivalent to 4th and 5th grade. However, this is not a 4/5 team. In the Fall of 2017, when the new school year starts and the girls move up to 5th and 6th grade respectively, it will still be the same team. 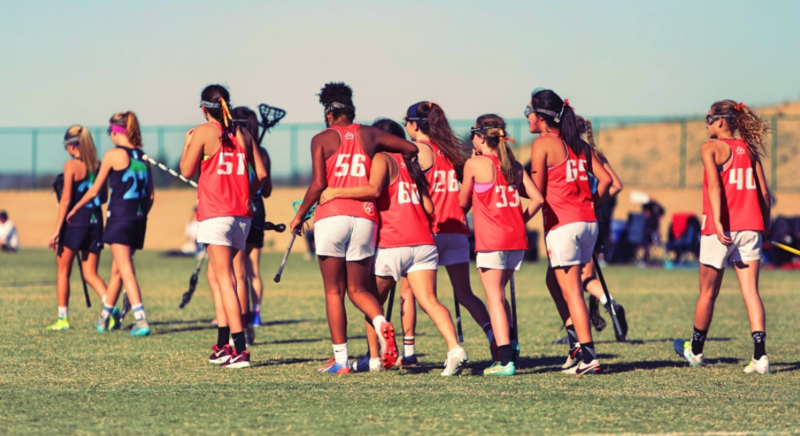 It is common practice at many tournaments for teams to be structured by high school graduating year, and as the program grows we anticipate going to a single year system, so 2024 and 2025 will be their own teams. That is how the boys travel teams are organized. 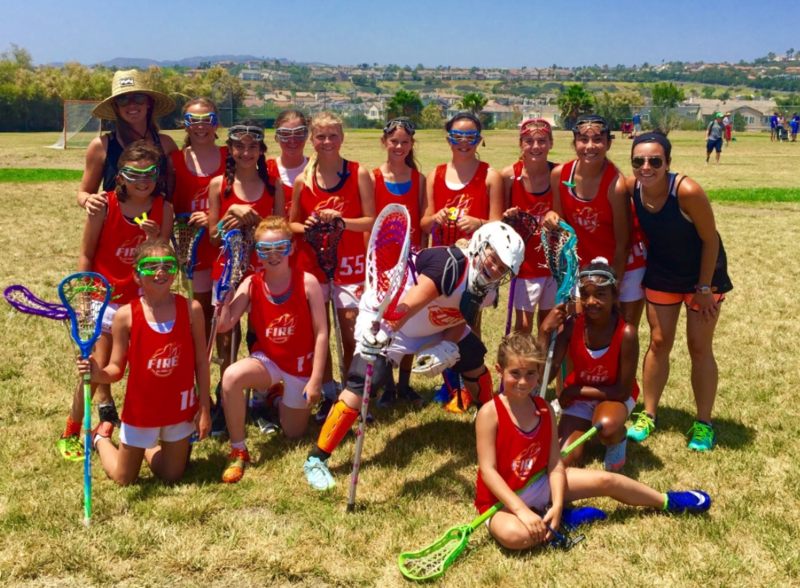 This team has "A la carte" tournament options to offer more flexibility for your busy child. The tournaments we are offering are spread across the summer, fall, and winter travel lacrosse seasons. Participation is by INVITATION ONLY. There are no tryouts. Fire 2024/25 will play one tournament every season until Winter 2018 and have 6 practices before each tournament. In the summer of 2018 this program will reset and we’ll offer an additional tournament or two in the summer, as well as the winter. By its third year we expect Fire 2024/25 to be on the same cycle as Fire High School. Please keep in mind that Fire is a complement to, and not a replacement for the regular winter and spring seasons, which is when we provide the bulk of our training. Fire events do not conflict with Dragons practices. The head coach for this team is Maddy Morrissey. Click HERE to see her bio. Schedule: 2017 Schedule Coming Soon! Field Map: CLICK HERE for a field map. THE DEL MAR FAIR WILL BE IN TOWN SO PLEASE ALLOW ENOUGH TIME TO GET TO THE FIELDS. Below are the best routes to avoid Friday traffic! Head West on West Valley Parkway. West Valley Parkway will turn into Del Dios Highway. Go about 5-6 miles and Del Dios Hgwy will turn into Paseo Delicias. 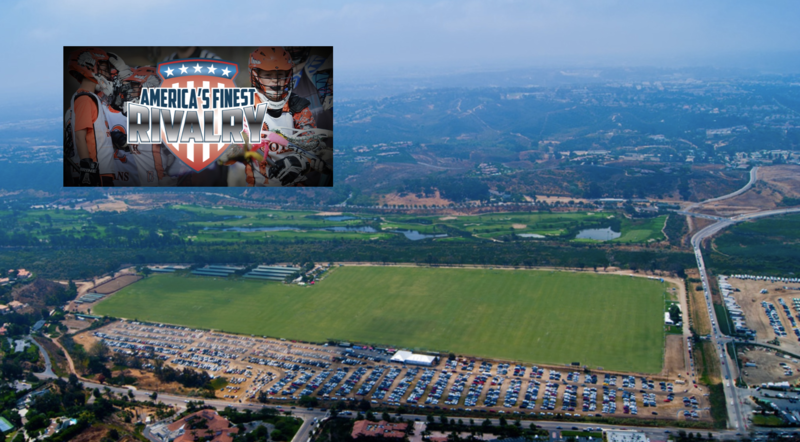 Keep heading West and Make a left on Via De La Valle and go about 3-4 miles until you see the main entrance at the San Diego Polo Fields. Lodging: The tournament directors at Adrenaline are working with Maverick Sports Travel to not only source the best venues, but contract with a variety of hotels to fit everyone’s needs. They request to work with a wide variety of lodging partners in order to also secure excellent rates for all of our teams. In order to achieve this, Adrenaline has a Stay to Play policy so that the hotels, cities and counties are assured that the discounts they offer are used. They work closely with their lodging partners to track team reservations and the stay to play policy as well as ensure that there are enough rooms for all teams attending the event. For hotel availabilities and reservations CLICK HERE. Player Registration Information: We will be registering the teams. Each family will receive e-mails with waiver information prior to the tournament. Highlight Film Options: CLICK HERE to learn more about GameTime Highlight Film packages. Also contact Randy at to learn more about team packages. Prospect Clinic: CLICK HERE to learn more about the Adrenaline Prospect Day on June 16th (Friday). Registration is being capped at 120 PLAYERS! Subsequent games will begin immediately after proceeding games (teams will warm up on the sideline prior to the game). These games will consist of two 20 minute running halves until games are back on schedule. Once games are back on schedule they will revert to two 25 minute running time periods. 2017 schedule will be posted closer to the date. CLICK HERE to be redirected to 3d Schedule & Results page. Games begin 8am on Saturday and end by 4pm on Sunday. Field Map: CLICK HERE for facilities information. Tournament Format & Rules: CLICK HERE for rules and overall format for the tournament. Player Registration Information: We have pre-paid the tournament fees. You do not need to pay anything. However, you need to register your player by the deadline June 1st.. Please CLICK HERE to go to the 3d registration page. CLICK HERE to check out the list of college coaches attending this touranment. CLICK HERE to learn more about Elavation Video and highlight film options. Please email to discuss team packages as well or if you have any questions. For event-specific pricing and options CLICK HERE. Additional Skills Clinic: The Riptide 2017 tournament will host a FREE clinic to any interested participant on Friday June 22nd, 2017 from 4:00 PM - 5:30 PM at the SoCal Sports Complex. The clinic will be run by Division I and III college coaches and is open to both boys and girls at all ages and positions. CLICK HERE to register if you are interested in attending. 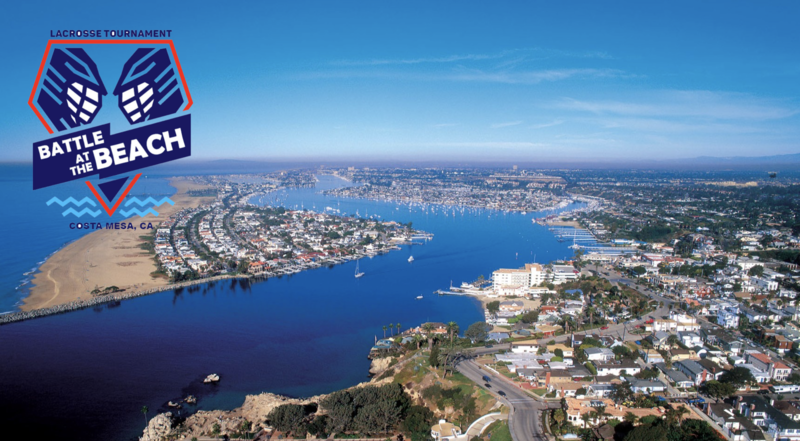 All Star Game Information: The college coaches attending the Riptide at Oceanside will select All-Stars in the 2018, 2019 and 2020 divisions, to play in one All-Star Game which takes place on Saturday evening. College coaches will also coach the teams during the All-Star game. The names of the players selected for the All-Star teams will be posted online here and at the tournament Headquarters Tent on Saturday afternoon. All players selected should meet on the field 15 minutes prior to the game to get their All-Star Game jerseys and meet their coaches. 4:15 PM - 2018/19/20 All-Star Game - Field TBD. For more information CLICK HERE and visit the 3d All-Star game page. Field Map: CLICK HERE for field map. Tournament Format & Rules: CLICK HERE for overall format and rules. Player Registration Information: COMING SOON!